In further efforts to continuing to “unite and strengthen” the Buffalo soccer community, the Buffalo Soccer Council is happy to announce that an agreement has been reached with the American Outlaws Buffalo to sell their chapter’s merchandise in the BSC webstore. Current selections include the chapter’s first t-shirt ($18) and the second edition of the chapter’s scarf ($20), which has seen high demand from all over the United States. American Outlaws, founded in 2007, is a supporters’ organization dedicated to growing and enhancing the following of the United States national teams. With over 110 chapters across the United States, it has turned national team games from split crowds into imposing home field advantages. The Buffalo chapter was established in 2011, and has grown to become one of the most highly regarded chapters in the nation. To pick up your American Outlaws Buffalo gear, check out the AO Buffalo shop on the Council’s website. 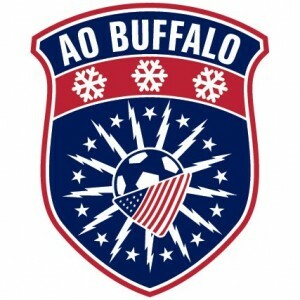 For more information on AO Buffalo, check out their facebook page or their twitter, @AOBuffalo.